Who is the best successor owner of my business? Will I get top dollar if I sell to a third-party? Are my key employees the best buyers? Can they get financing? Are my children capable of running the business? What sort of planning do I need to start doing now to make sure the transition to a new owner will be successful? How much is my business worth? Can I afford to retire if I sell my business? These questions need to be considered before embarking on an exit path. Do I care about the impact of my business transition be on my employees, customers, community? Do I want to consider this in my choice of successor? Maximizing after-tax proceeds might require restructuring the business, or in the case of a sale to key employees, using qualified retirement plans or deferred compensation. How can I minimize the buyer’s tax bill so he is willing to pay me a higher price? If I’m selling to key employees should I give them stock bonuses rather than cash bonuses and keep the cash for myself? Should I consider selling to an ESOP? All of these planning strategies require several years to implement. A large percentage of business transitions fail to achieve the owner’s goals. Do I understand how to avoid the biggest mistakes? Is it worth doing some serious advance planning to maximize my chances for success? An Exit Plan is Cost Efficient. 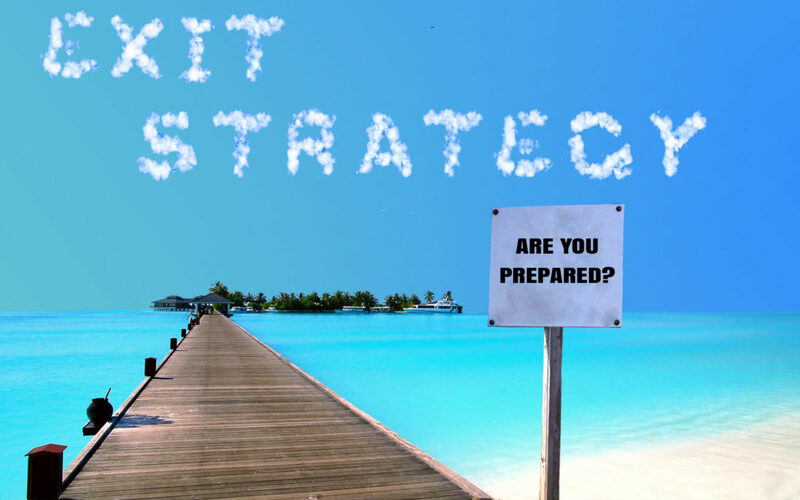 Exit planning isn’t cheap – it might cost as much as your regular recurring accounting fees. But compare that to the cost of hiring a broker, paying a substantial fee upfront, spending time and energy on a sale process that fails to find a good buyer; or selling to employees who default on an installment note and require you to take back the business and start again from scratch. The most expensive part of failure is wasting a few years in an exit “do-over” that you were planning to spend doing something else. It is best to start exit planning 3-5 years ahead of your exit date. But a lot can still be done with less time, including avoiding a costly failure. Contact me at don@keystonebt.com for more information.